The wonderful Miss Rosen have made an interview with Jacob, about his memories of New York in the 90’s. This along with images that was part of the Catcher in the Eye Project. It was inspiring to go back in time, to think of New York Pre-911, being young and fearless. Happy to look at this work again and thinking about how it could develop. Maybe a script? A book? An exhibition? Another thing that happened, when the story came out, was that I finally got the name of the stunning woman above! Her name is Cynthia Bailey and now is a Reality TV Star! The Gershwin Hotel days was also mentioned. This image was used for a SHOUT Magazine AD, in connection to Danish Newave. In the photo is DJ Jackie Christie and Actor Michael Weiner, in front of a wacked out photoshop job of The Gershwin Hotel. 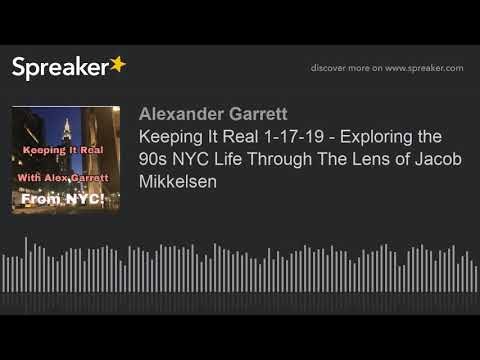 An interview about the article in Alexander Garrett’s “Keeping it Real” Radio Show. Go see the whole article on VICE, HERE! Go to another page about this work HERE!